One of my favorite things about Thanksgiving is the array of side dishes available. Anything and everything from cranberry sauce to dinner rolls and anything and everything in between. I actually believe that the side dishes are even better than the turkey itself. 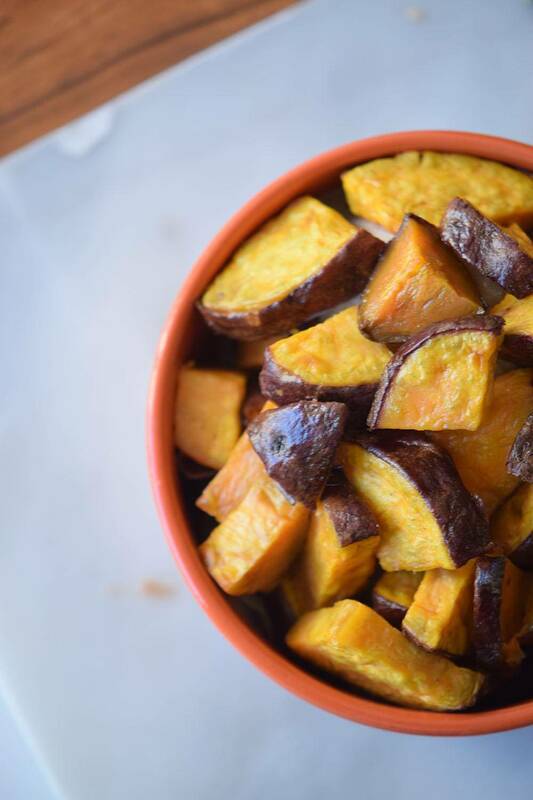 But let’s be honest they can be a lot of work, which is why I love so much this Caramelized Sweet Potatoes Recipe! If you are like me, then you probably prefer to spend your holiday time with your loved ones instead of tucked in the kitchen cooking up a storm. And you know what? 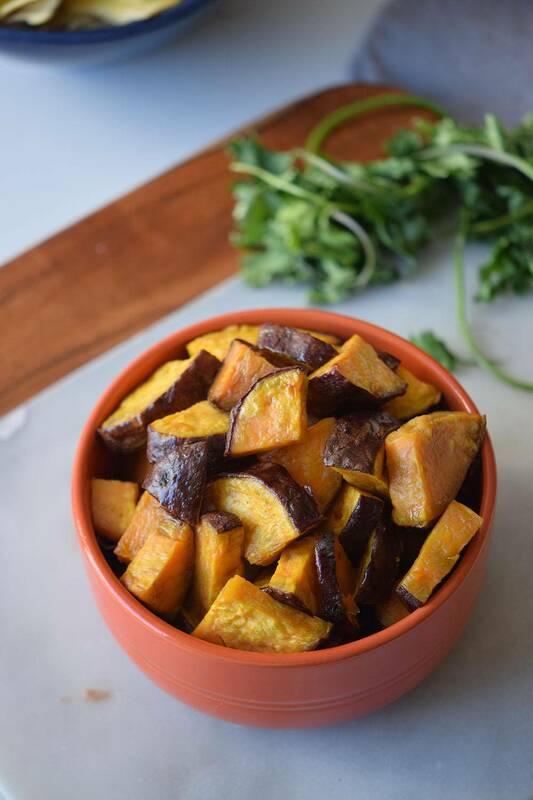 These Caramelized Sweet Potatoes are perfect for that! They are really easy to cook, they are incredibly tasty, and they take so little time that’s almost unlivable. Needless to say, they also are the best side dish ever, and trust me when I say everyone will ask for the recipe afterward. For me, the secret for the big punch of flavor is using a mix of honey and maple syrup. Each one of them provides a different flavor so combining them results in a really delicious experience. I also believe the flavor is in big part thanks to the mix of spices. We are using cinnamon, a bit of nutmeg and even a tiny tiny bit of allspice + paprika and salt and pepper. The result is this incredibly sweet and spicy combo that goes perfectly well with all the other dishes of your dinner. And the great thing about this recipe besides the fact that’s totally delicious? Well, it’s made on the stovetop which means that you’ll free up your oven space for all the other delicious baked recipes. 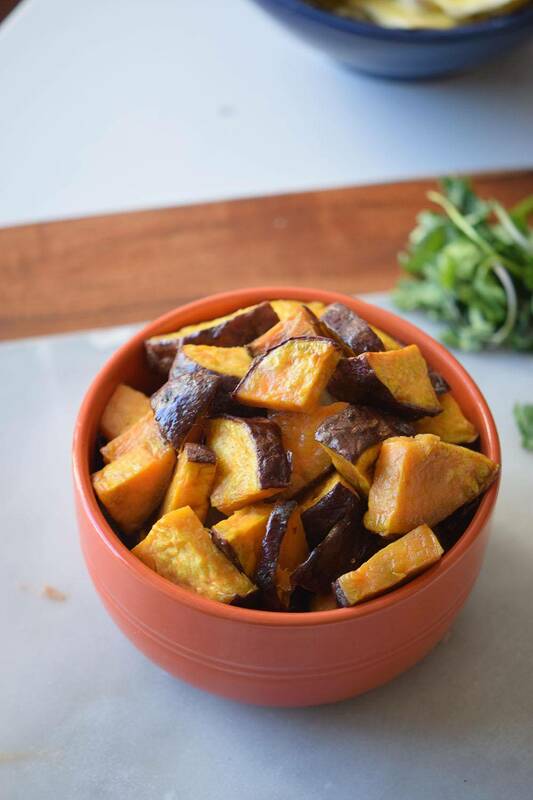 It also means that these caramelized sweet potatoes get cooked super fast. Between you and I? This recipe is going to become a staple and not only a Thanksgiving side dish. 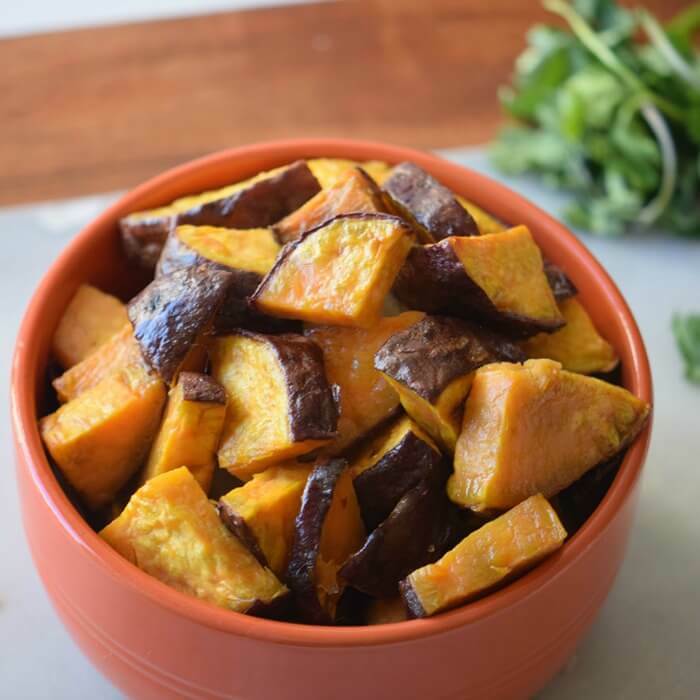 These Caramelized Sweet Potatoes are the perfect Thanksgiving side dish, they are not only super delicious but also crowd pleaser and super easy to whip up. 3 Sweet potatoes, cooked and diced. In a bowl mix the honey, maple syrup and butter. Add the cinnamon, allspice, and ground nutmeg and mix until everything is well incorporated. Take to a saucepan and over medium heat cook for 3 minutes or until the spices have bloomed. Add the diced sweet potatoes and with the help of a wooden spoon mix until coated. Add the paprika, the pepper, and the salt and mix again. Let it cook for 10 minutes or until golden. I hope your family enjoys this recipe as much as my family does! Enjoy this recipe for Thanksgiving or as any Holiday Side Dish Recipe!